For the last twenty something years I worked in startups and “real” companies (“real” from an arrogant corporate perspective) alike. And what I always, really always, observed was the increasing inefficiency and people’s increasing frustration when trying to get the most simple things done within the company. For instance buying computer hardware (and I mean not high tech server stuff, but a simple remote mouse) with a value of 10 USD ends up costing 200 USD extra for the sourcing process. I am sure, you know what I am talking about! But what’s especially cracking me up, is how people behave when it comes to meetings! It’s like traffic jam: everbody complains and is part (and cause) of the hassle at the same time. “There are too many meetings”. And at the same time everyone schedules new meetings everyday and needs to discuss and agree on everything with everyone in the company. According to several surveys, there are around 25 million (yes, that’s 25,000,000!) meetings every day in the United States alone. And be sure, just a very few of these meetings really end up with results! “Meetings are too long”: And at the same time we all lose focus on the meeting goal and drift away on nice stories and details not helping to achieve the meeting goal (in case the meeting host was so clever to set and communicate one at all!). 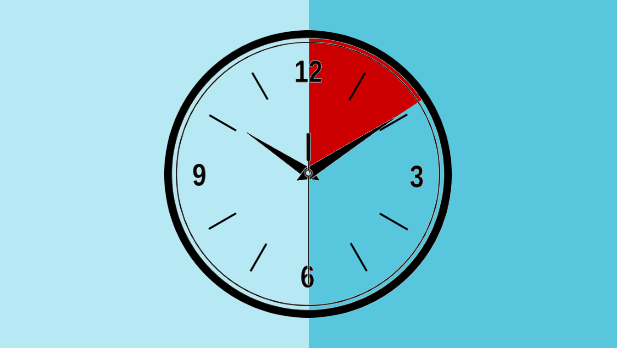 And thanks to Microsoft Outlook calendar, we all just think in 30 minutes and one hour slots (no offense, Bill!). So much for self-determined behaviour! “Meetings end without results”: Apart from having (and disclosing) a meeting goal, the general question of all meetings must be “Who does what until when?” According to another survey a calculated 37 billion (yes, that’s even 37,000,000,000!) US Dollars are spent per year on unproductive meetings in the United States alone! Is this really what we want? Apparently yes, or are we just too paralyzed to change this? Anyway, we want to overcome our paralysis in meeting madness and try to change things – even when change is hard! And it will be hard since this is collective behaviour and established corporate routines we are talking about here and hardly anyone of us probably has the mandate or guts to tell colleagues (especially in higher ranks) to change their behavior (as if this would be enough!). But hang on lads, I have a great idea! For more than 15 years we are actively observing meetings from a rather scientific perspective. In some meetings we were (and still are) participants, playing an active part, in some we were bystanders, observing group behaviour, stereotypes and drama. And finally, we scraped our private money together and have put all these ideas into a new meeting management software with a psychological twist – by the way, our first attemps dated back to the year 2008, but we neglected the behavioral science part at that time and therefore #failed#. But we have learned a lot in the past 10 years and went back to the drawing table recently. And this time it looks much more promising! 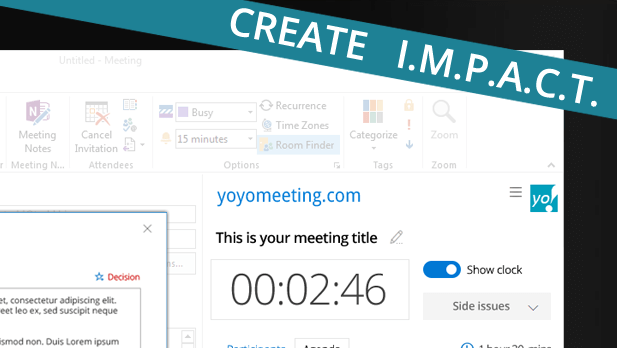 Since we created a meeting tool, that foremost helps ourselves increasing productivity and reducing our own frustration from meetings. And it all has been challenged in the meetings we are part in and has been approved by participants we had meetings with. You can hardly get closer to real life product testing! So now we are taking the next step to save those 37 billion US Dollars mentioned above. Stay tuned!